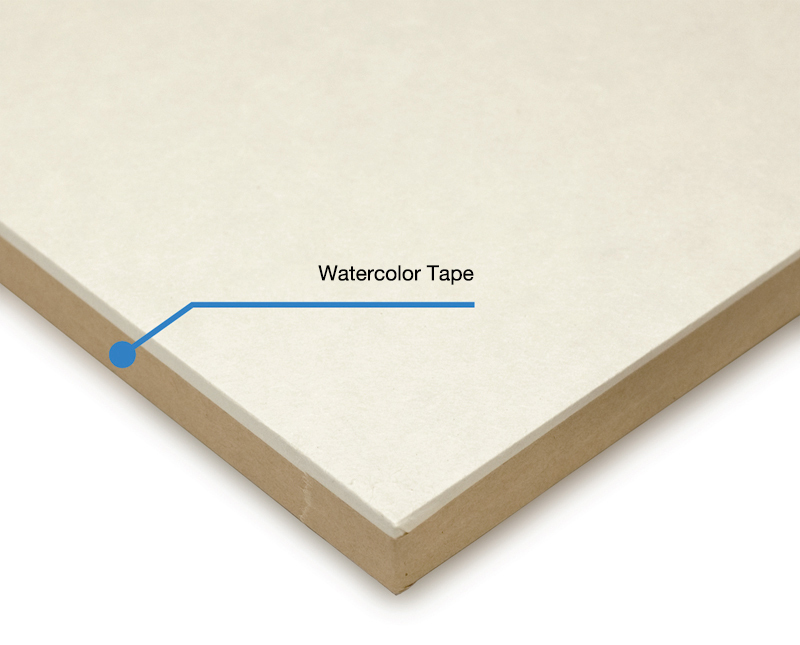 Watercolor tape is a gummed paper tape used for stretching paper which has been soaked in water on a board or panel. 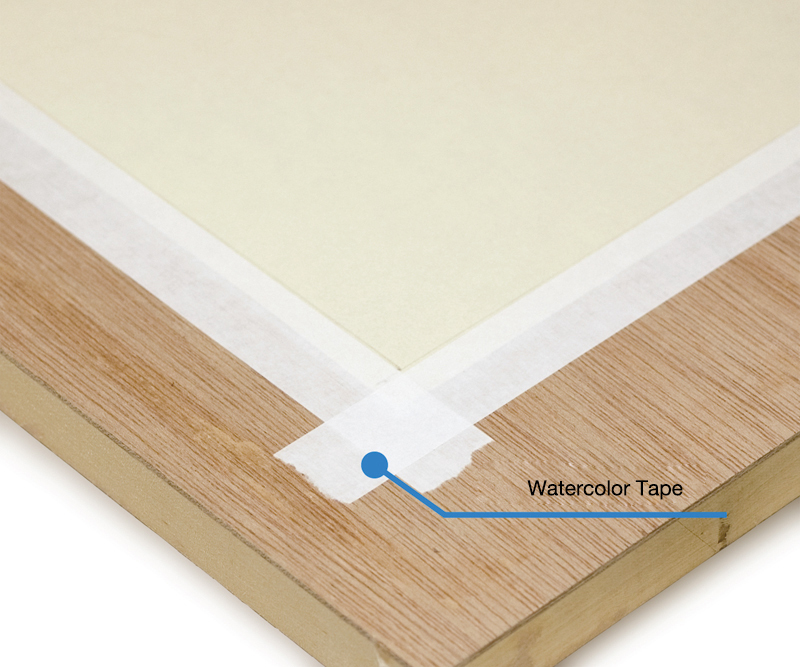 The tape is fixed firmly onto the frame material, such as a panel, so that the paper will not crease. The tape can also be used to frame the edges of printed photos exhibited on display panels to make them more attractive. 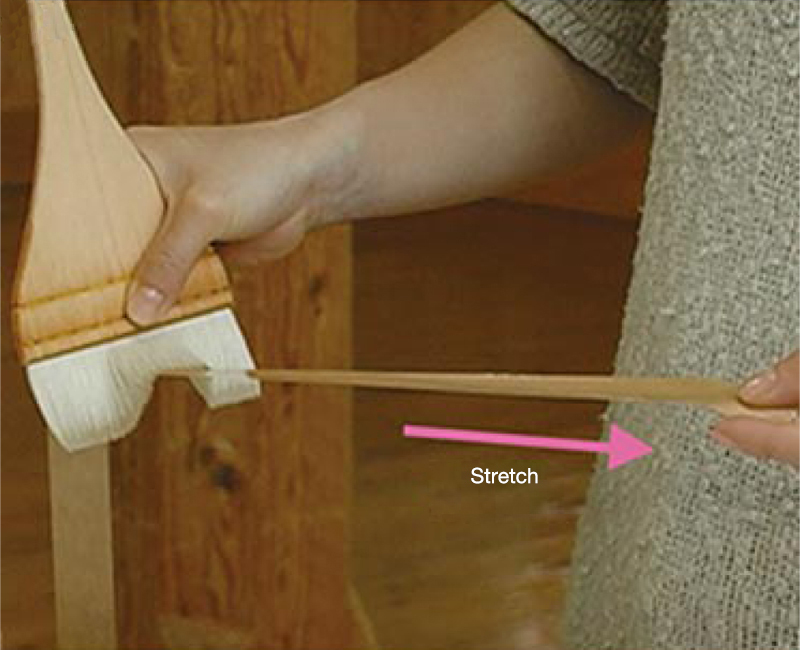 It is coated on one side with dried water-soluble glue which becomes strongly adhesive when moistened. 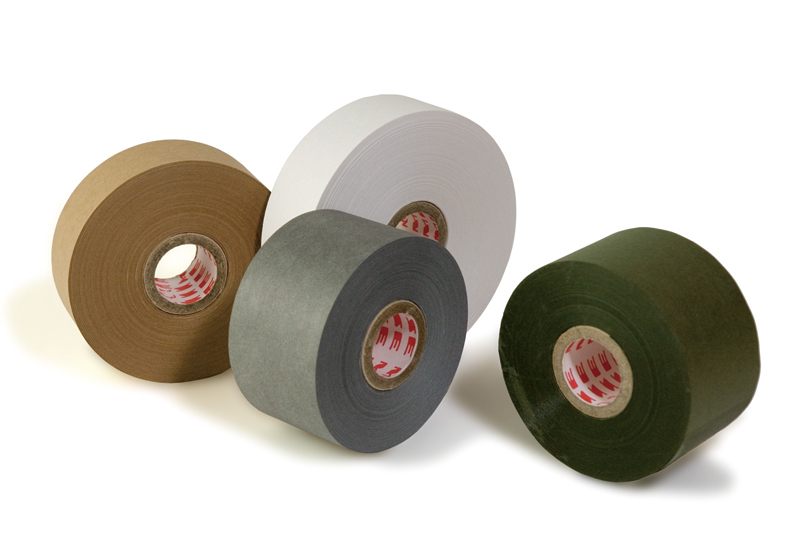 Watercolor tape is available in various colors such as brown (kraft paper), white, black and green so a suitable color can be selected according to the work and the display method. It is sold in rolls of different width such as 25mm, 30mm and 50mm. The thickness of the panel should be taken into consideration when choosing the appropriate type. It should be sealed in the accompanying plastic bag for storage because an entire roll could solidify if it soaks up moisture. Watercolor tape can be purchased at art supply stores, etc. 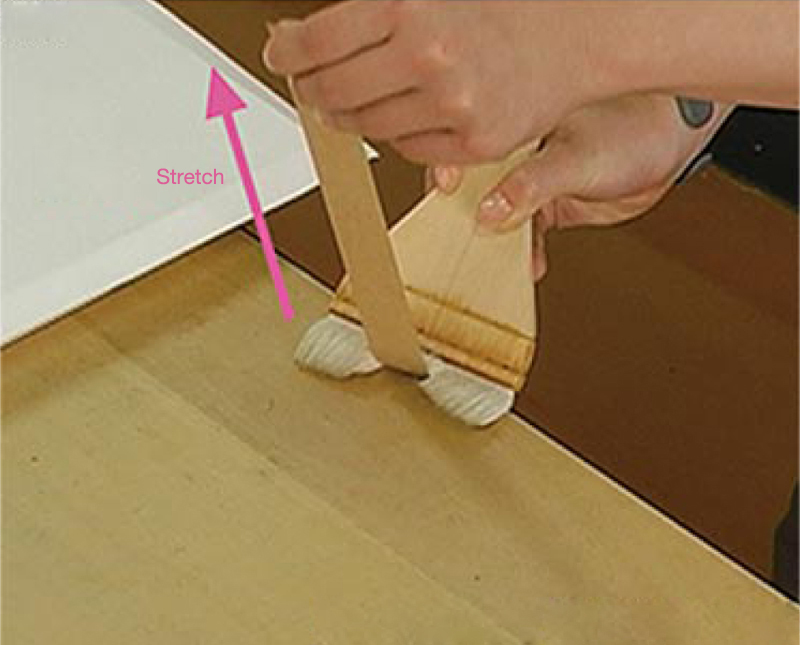 Example 2: Using the edge of the desk will make the job easier.